The following sites were all found with Google however just searching "The Death of Osama Bin Laden" will NOT present the facts, try starting the search (as is well known with many other "conspiracy" searches), with "Did....?". The State Dept. try to "manage" these Google accounts as much as possible. Quote; "Washington fabricated several key claims regarding the 2011 mission in which a US Navy SEAL team killed Al-Qaeda leader Osama bin Laden, according to legendary journalist Seymour Hersh in the latest challenge to the White House’s narrative of the raid. Hersh, writing in the London Review of Books, has alleged that the United States government and Pakistani officials in fact worked closely–attempting to smooth political and financial concerns between the two nations–prior to the May 2011 assault on bin Laden’s Abbottabad, Pakistan compound. 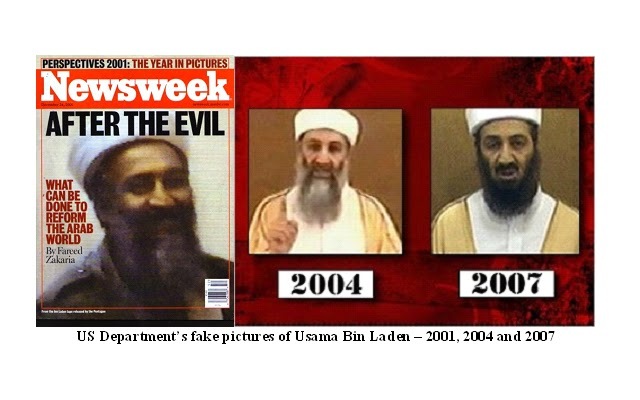 Don’t believe the lies about Osama bin Laden. 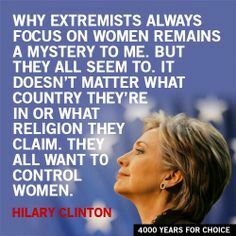 He was setup as the SCAPEGOAT, to justify invading Iraq and Afghanistan, and to take control of you via The Patriot Act and the Department of Homeland Security. Osama Bin Laden died years ago from medical issues. The story of the Navy SEALs killing him was falsified. Our government never provided proof that they killed him. The Navy SEALs who died on the helicopter were killed to shut them up. including all military personnel, from talking about it. This page won’t provide all of the details and evidence, as if it did, it would be so long that most people wouldn’t take the time to read it. It lists the key points to provide the ‘Big Picture’ of Osama bin Laden, so that you can discover the truth for yourself. Bin Laden received training and funding from the CIA, which was backing the Afghan holy warriors – the mujahedeen – who were opposing Soviet forces in Afghanistan. On September 20 2001, the Taliban offered to hand Osama bin Laden to a neutral Islamic country for trial if the US presented them with evidence that he was responsible for the attacks on New York and Washington. The US rejected the offer because they didn’t have proof and the invasion of Afghanistan was preferable anyway. Mohammed Atta, the alleged 9/11 ringleader, has been held for over 10 years, but has never stood trial. This is because evidence would come to light that shows that it was an inside job. He had total Renal (kidney) failure which means that he needed a dialysis machine, and he had Marfan’s Syndrome. When he died, his body was frozen for use at a later time, to continue the ‘War On Terror’ narrative. This allowed our leaders to position him as the ‘Boogie Man’, to give us a face to incite our anger so that they could invade Afghanistan and Iraq, and create the Department of Homeland Security. The U.S. Military is there primarily to protect the building of an oil pipeline, and to profit from the Opium trade to fund the CIA’s black operations. Osama had supposedly been hiding out for several years in a home that was within miles of a major Afghanistan military training facility. Do you really believe it would take the world’s best military 9 years to find bin Laden? He was 6′ 5″ and needed a dialysis machine due to kidney failure. Don’t you think he would have stood out? Members of Navy SEAL Team 6 died that day and their Special Ops helicopter went down, but their deaths were not reported. Our leaders never showed proof that they killed him and then they buried him at sea, falsely claiming that it was out of respect for Islamic tradition. SEAL Team Six is one of four U.S. secretive counter-terrorism and Special Mission Units. It’s against military protocol to reveal the elite team who executed a mission. Others Team 6 members were mad about the lies regarding their friends and they were talking about it. Then suddenly, a Unit of SEAL Team 6 members was eliminated. One thing you can be sure of, the military follows strict protocols. So when you analyze what our leaders told us about the event, breaches of protocol tell you a different story. Special Ops Teams don’t usually travel in large groups, as it creates too much exposure, and when they split up, they are more agile and can attack the target from several sides. Yet on this day, there was 38 soldiers on one helicopter. 17 were SEALS, the others were support personnel and 7 Afghan Special Ops soldiers. The SEALs normally use special ops helicopters such as the MH-47, that are specialized versions of the Chinook. Supposedly their mission was to intercept a group of Taliban who were escaping the area following an operation by United States Army Rangers. Yet on that day, they were in a regular National Guard Chinook helicopter. On 10 August 2011, the U.S. military claimed that the insurgent who fired the rocket-propelled grenade had been killed only two days afterward in a Lockheed Martin F-16 Fighting Falcon airstrike. How did they know who it was? Why did they track him for two days before killing him? Quote; "Merely a week after President Obama announced the death of Osama Bin Laden, there is literally a deluge of evidence that clearly indicates the whole episode has been manufactured for political gain and to return Americans to a state of post-9/11 intellectual castration so that they can be easily manipulated in the run up to the 2012 election. 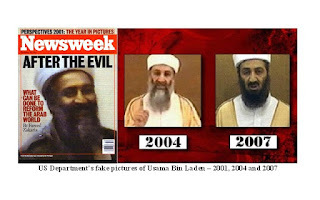 Here are ten facts that prove the Bin Laden fable is a contrived hoax…. 1) Before last Sunday’s raid, every intelligence analyst, geopolitical commentator or head of state worth their salt was on record as stating that Osama Bin Laden was already dead, and that he probably died many years ago, from veteran CIA officer Robert Baer, to former Pakistani Prime Minister Benazir Bhutto, to former FBI head of counterterrorism Dale Watson. In addition, back in 2002 Alex Jones was told directly by two separate high level sources that Bin Laden was already dead and that his death would be announced at the most politically opportune moment. Top US government insider Dr. Steve R. Pieczenik, a man who held numerous different influential positions under five different Presidents, serving as the Deputy Assistant Secretary of State under the Nixon, Ford and Carter, told the Alex Jones Show last week that Bin Laden died of marfan syndrome shortly after he was visited by CIA physicians at the American Hospital in Dubai in July 2001. 2) The official narrative of how the raid unfolded completely collapsed within days of its announcement. First there had been a 40 minute shootout, then there was no shootout and just one man was armed, first Bin Laden was armed then he was not, first Bin Laden used his wife as a human shield and then he did not. First the compound was described as a “$1 million dollar mansion” then it turned out to be a rubbish-strewn dilapidated compound that was worth less than a quarter of that. Almost every single aspect of the official narrative has changed since Obama first described the raid last Sunday as the White House struggles to keep its story straight. 3) The alleged body of Bin Laden was hastily dumped in the sea to prevent any proper procedure of identification. The White House claimed this was in accordance with normal Islamic burial rituals, however numerous Muslim scholars all over the globe disputed this claim, pointing out that Muslims can only be buried at sea if they die at sea. While the White House claimed that Bin Laden’s death on May 1st was proven by DNA and facial recognition evidence, such proof was never released for public scrutiny and the Obama administration refused to release photos of Bin Laden’s dead body, suggesting a cover-up. 4) Despite the fact that the White House released “situation room” photos which purported to show Barack Obama, Hillary Clinton, Joe Biden and the rest of Obama’s security staff watching the raid which killed Bin Laden live, it was later admitted by CIA director Leon Panetta that Obama could not have seen the raid because the live feed was cut off before the Navy SEALS entered the compound. The photos were described by many as having “historical significance,” forming a “captivating” record of Obama’s greatest success and being the “defining moment” of his Presidency. One image showed Hillary Clinton with her hand over her mouth as if witnessing an anxious or crucial moment in the raid. 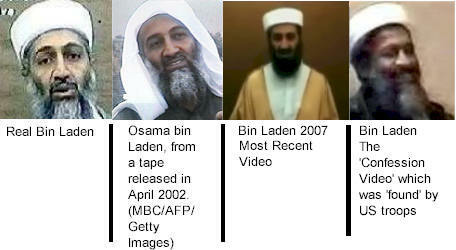 Media reports at the time claimed that the photos represented the moment when “The leader of the free world saw the terror chief shot in the left eye.” However, the photos were staged as a PR stunt for public consumption, nobody in the photos ever saw Bin Laden killed live, nor did they see the Navy SEALS even enter the compound. 5) As even mainstream journalists began to cast suspicion on the official narrative behind the raid, the media reported that Al-Qaeda itself had confirmed every detail of Obama’s address the the nation. However, the conduit for such a claim was in fact an organization called SITE, which is a notorious Pentagon propaganda front run by the daughter of an Israeli spy that has been caught on numerous occasions releasing fake cartoonish “Al-Qaeda” videos at the most politically expedient times for both the Bush and Obama administrations. The SITE organization is nothing more than a contractor for the U.S. government, receiving some $500,000 a year annually from Uncle Sam, and yet the corporate media instantly swallowed and regurgitated the claim that “Al-Qaeda” had confirmed the official story after SITE directed them to an anonymous posting on an Islamic website. 6) Almost every single neighbor that lived near the alleged Bin Laden compound in Abbottabad that was interviewed by news reporters said with absolute certainty that they had never seen Bin Laden and that they knew of no evidence whatsoever to suggest he lived there. Since the town is a staging ground for the Pakistani military, which has a training facility situated virtually a stone’s throw away from the alleged Bin Laden compound, residents were required to show ID when they moved into the area. Pakistani troops and anti-terror police in the town refused to confirm that Bin Laden had lived in the house. Barack Obama himself admitted to 60 Minutes that the White House was only 55/45 sure that Osama lived there before the raid and this uncertainty prompted concerns that the US Navy SEALS sent in could have targeted a “prince from Dubai” or some other individual that was not Bin Laden. 7) The videos released by the White House this past weekend which purport to show Osama Bin Laden making Al-Qaeda tapes in October-November 2010 are almost identical to footage first released by Pentagon front group SITE nearly four years ago. Remember, a May 2010 Washington Post story reported how the CIA had admitted to making fake Bin Laden videos. Despite the White House’s insistence that the footage of Bin Laden is recent, he looks younger and healthier than tapes released almost a decade ago, having apparently dyed his beard black. A separate video that purports to show Bin Laden in his compound flicking through satellite TV channels depicts a much older looking man with a gray beard. Analysts have pointed out that the man has different shaped ears to real Osama pictures from back in 2001. A doctor has also pointed out the fact that the man in the tapes released Saturday has no problem moving his left arm, whereas video from 2001 clearly illustrates how Bin Laden was unable to move his left upper extremity because of a permanent injury probably related to damage to the peripheral nerves. Why the cameraman would film the back of Bin Laden’s head as he watches television is also dubious. Residents in the town of Abbottabad claim the man in the “television” video is not Osama, with one individual claiming that the man labeled by the White House as being Bin Laden is actually his neighbor, a man named Akhbar Han. 8: Despite the fact that numerous neo-cons came out on the days after the alleged raid to erroneously assert that torturing terror suspects at Guantanamo Bay led to the discovery of Bin Laden, Osama himself, the supposed world’s most wanted terrorist and a treasure trove of terror information, despite the fact that he was unarmed, was not taken in for questioning, he was instantly shot in the head according to the official narrative. 9) The US government has been caught on several occasions within the past decade staging military operations for the purposes of generating contrived, pro-war sentiment amongst the American public. Both the “rescue” of Jessica Lynch and the death of Pat Tillman were complete fables, scripted and staged at complete odds with the truth and unleashed on Americans as part of a psychological warfare offensive to elicit support for the war on terror, almost identical to what we’re seeing now with the Bin Laden sideshow. Given the fact that the US government has been caught red-handed scripting tales of pure fiction in order to justify the war on terror, notably in the cases of Jessica Lynch and Pat Tillman, why on earth should we believe them now? On September 10, 2001 (one day before 9/11), CBS News anchor Dan Rather reported his admittance to a Rawalpindi, Pakistan hospital*.